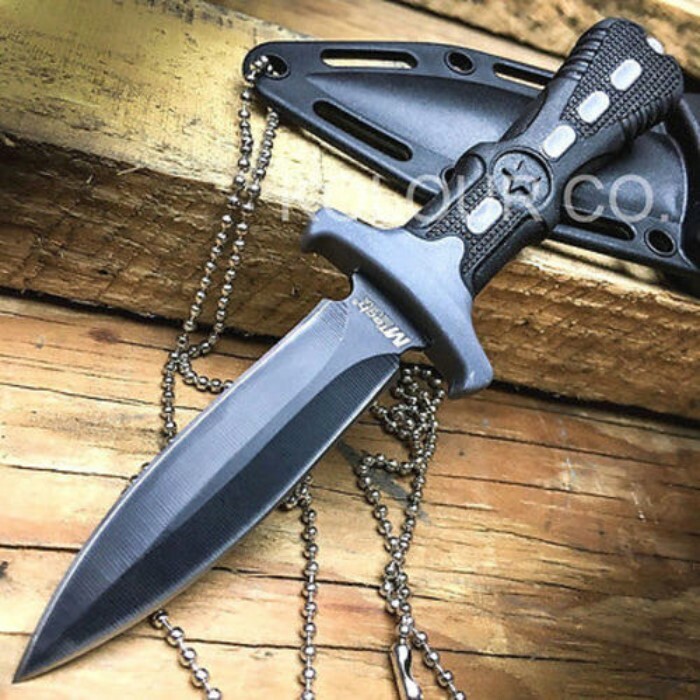 MTech USA BlackStar Neck Knife with Sheath and Chain | BUDK.com - Knives & Swords At The Lowest Prices! Your trusty pocket knife - a wise man or woman like yourself never leaves home without it. But what do you do during your morning jog, afternoon swim or other times you likely have no pockets? 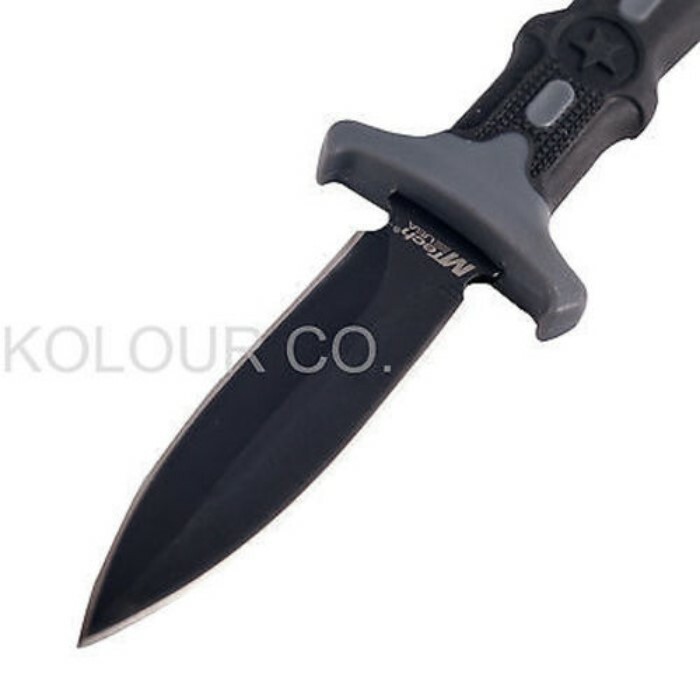 Thanks to MTech USA's versatile BlackStar Neck Knife, you never have to venture out vulnerable and unprepared, even when wearing pocket-less athletic wear, swim trunks or pajamas. This handy fixed-blade terror hangs conveniently from your neck via a durable classic ball chain attached to a molded nylon fiber sheath. The razor sharp, double edged 2 3/4" stainless steel spear point blade snaps securely into the sheath, leaving its injection molded nylon fiber handle exposed and always at-the-ready. The sheath secures the BlackStar with ideal pressure - ample to overcome gravity and shock, but not so snug it inhibits access and speed. Delicately textured and ergonomically contoured, the handle affords a no-slip grip when wielded but won't snag, chafe or impede movement when it hangs from your neck. Clear your pockets of clutter, and make the BlackStar your everyday carry knife. 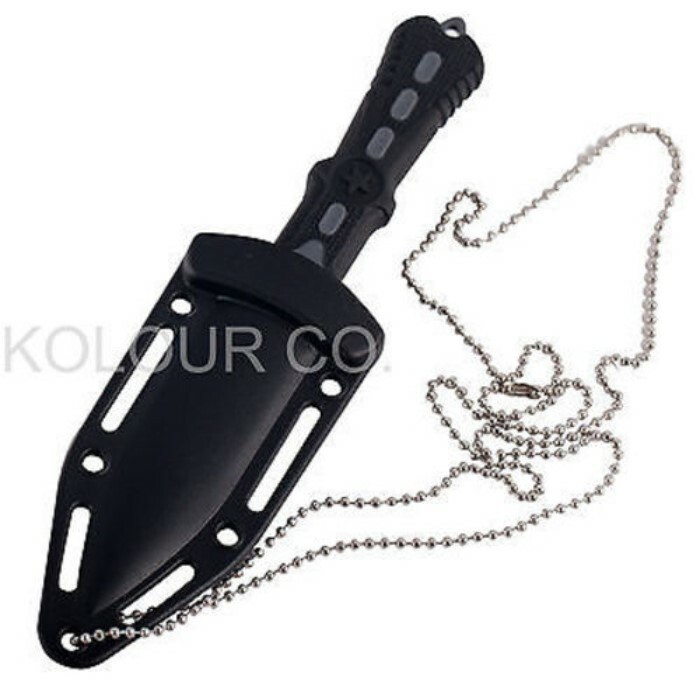 Or use it to supplement a pocket knife and/or boot knife for a complete, always-accessible self defense ensemble. Regardless of how you use it, rest assured you can always trust the MTech Black Star Neck Knife to be close to your heart - literally!